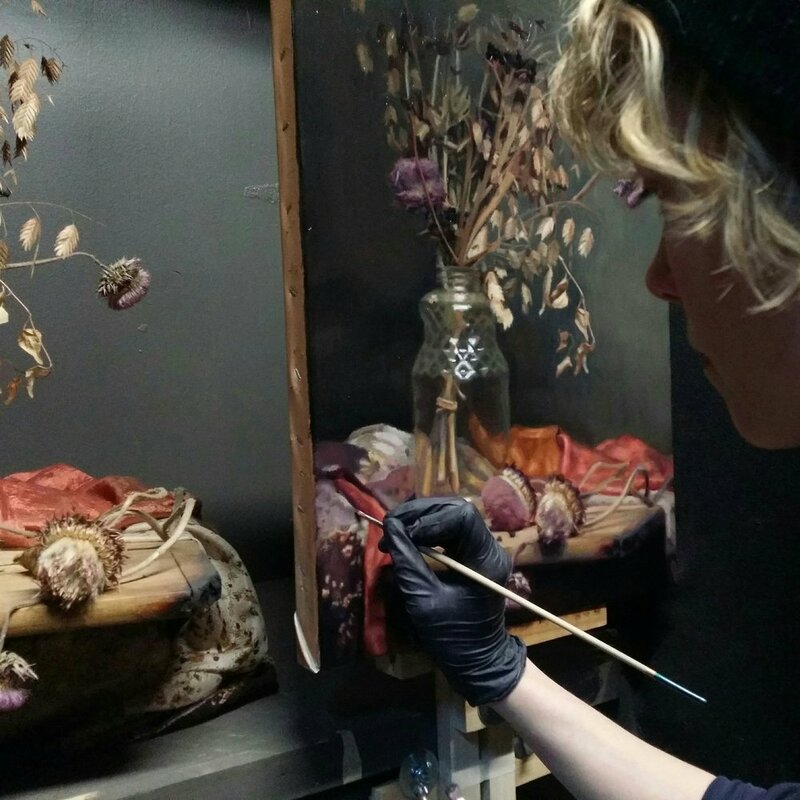 As digital mediums evolve, the core of creating artwork is still in traditional, academic ateliers. Before entering any art-related career, students should have a full grasp of drawing and painting of both still life and figure drawing. Students should have training in an objective, academic setting that not only surrounds them with like-minded ambitious peers, but also allows for the instructor’s critical feedback for improvement. AtelierEftimov offers a timeline of instruction such that a focused and committed student can fully expect to have a firm handle on the entire spectrum of classical art education. AtelierEftimov is a 4 yr program. Students meet up to work in a small group environment with space being very limited. The smaller class structure allows Grigor to give more individual attention. While overseeing and lecturing, Grigor works along side his students to demonstrate his approach and knowledge of materials. This sets the highest standard in terms of quality of work that can be produced. The program can be broken up into 2 categories, figurative and cast/still-life. 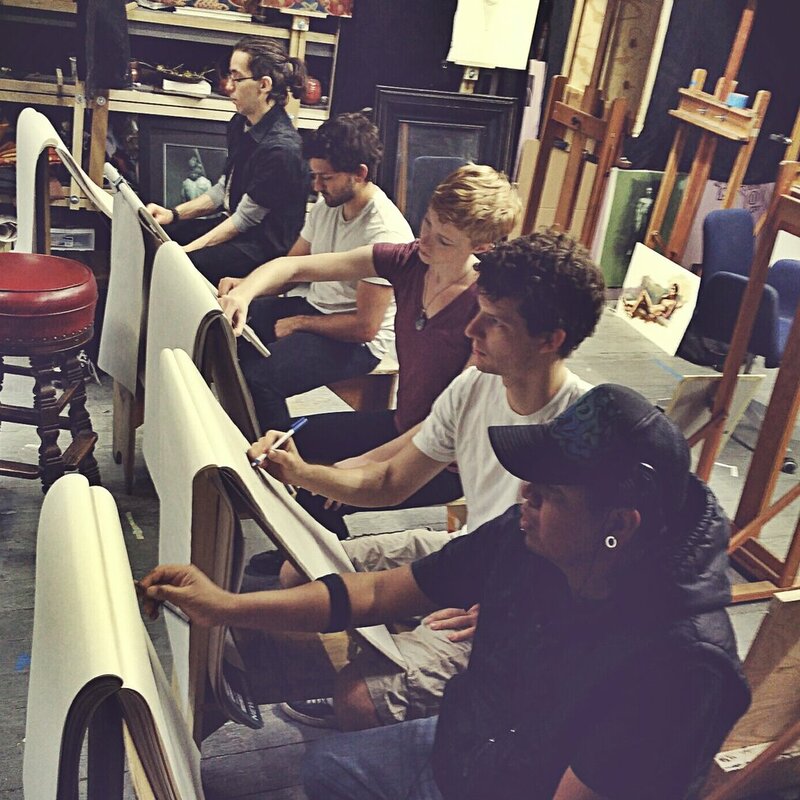 Students meet up twice a week to work on projects ranging from Bargue copies, cast or still-life and once a week to work on the long figure pose. Each session is approximately 6 hrs per day. A long figure pose lasts for 3 months, meeting at least once a week. Working from the figure can be broken down to morning session and afternoon sessions. 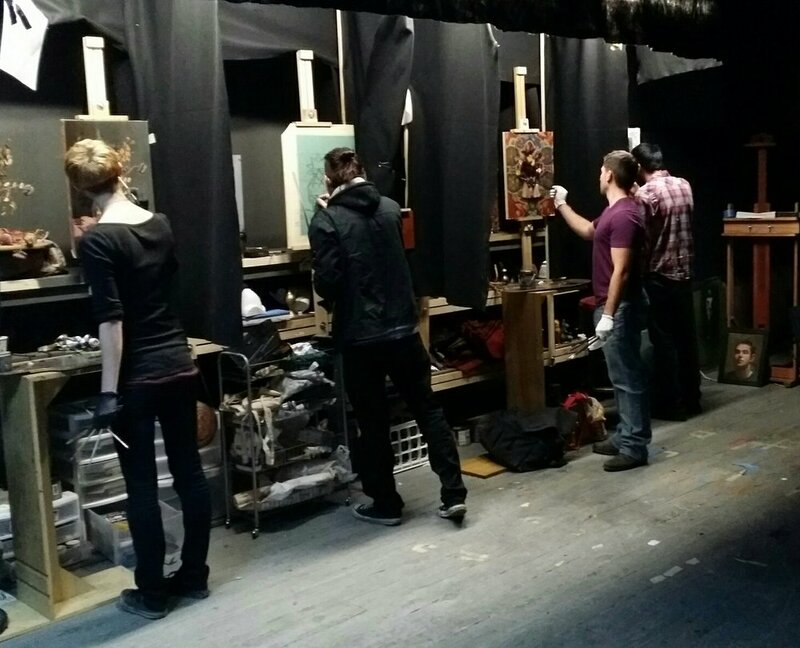 All students, regardless of level, participate in gesture drawing. During the gesture drawing- comparative drawing is highly stressed and implemented. This starts before all long pose sessions and lasts for the duration of at least a half hr and can last as long as 3 hrs. The materials needed at each stage of development will be covered prior to starting each project. Each individual student works at their own pace so that they can full-fill their potential at each stage of development. drawing- is THE foundation of great picture making and works of art. All students entering Atelier Eftimov are mandated to start with drawing regardless of past experience. Copies and cast drawing- Beginning students are introduced to drawing by copying plates from Charles Bargue which are completed in graphite and drawn on Bristol paper. They are then moved to caste drawing using the site size method and completed with charcoal on Canson Mi-Teintes drawing paper. Figure- Beginning figure drawings are done in graphite using the comparative method . Charcoal drawings of the figure are done there after using the site-size method. All beginning students will be expected to do many starts, so that they are familiar with a constructive procedure. This will not only be the universal language in the class room setting but- serve as a platform for all future project to built off of moving forward. 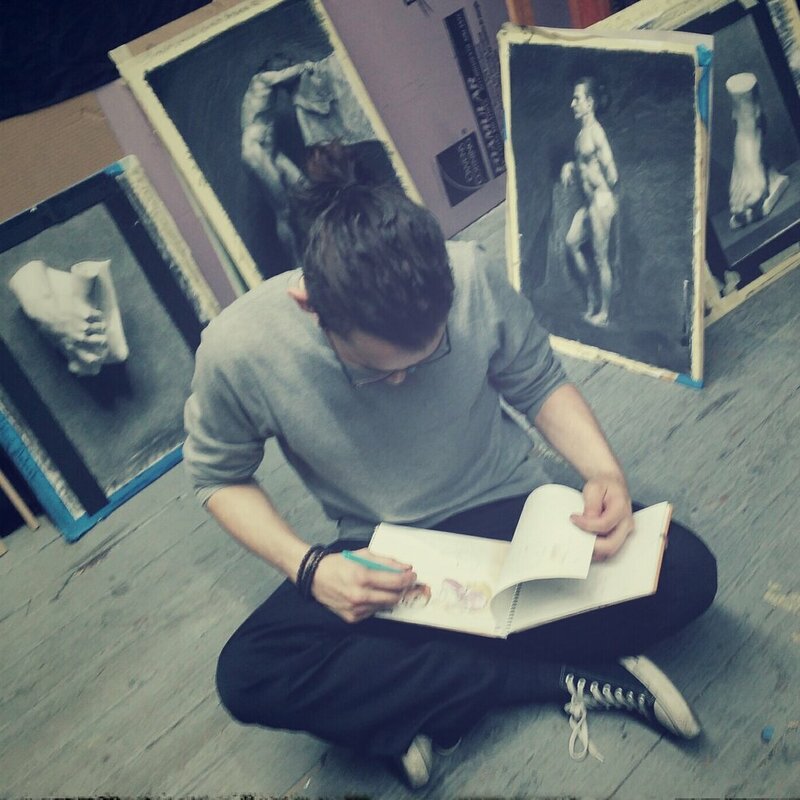 Students are expected to complete 2 Bargue copies, 2 charcoal cast and 2 figure drawings graphite/charcoal. Toned drawing- In preparation to black and white painting, this exercise helps identify and breakdown complex values in larger masses, as well as further hones in on draftsmanship. 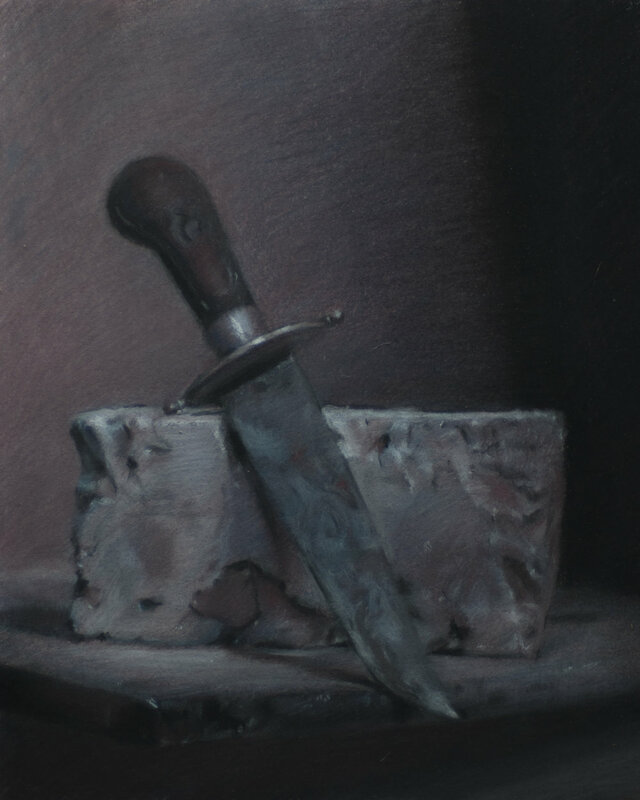 Drawings rendered traditionally with chalk and charcoal on middle toned paper are used as means to bridge the gap between draftsmanship and painting. This application of drawing covers both the figure and cast/still life and is a pre-requisite to any future painting. Complementary painting and drawing- Painting utilizing 2 complementary colors: burnt sienna and ultramarine with titanium white. Drawings are completed in similar manner with use of dry mediums such as pastel on toned paper. This also serves to supplement painting. With the use of a complementary palette, students can engage color through temperature and maintain focus of drawing and value relationships. It introduces a means of mixing and color organization in terms of hue, value and chroma and further stresses the importance of value and drawing over color. This is also a transition and is a pre-requisite into a traidic color palette. Triadic limited palette - painting with 3 primary colors: alizarin crimson, ultramarine blue and cad yellow. Here the student will learn how to be economical with the medium forcing them to push the boundaries through color mixing and palette organization. Pastel drawing - drawings completed with a dry medium on toned pastel paper. This is an effective exercise to supplement painting at any stage, it also helps those facing issues with seeing color without having to worry about the dexterity needed that comes with painting. Full color palette- Students working with a triadic palette will expand to a full palette. The new colors included to the existing 3 colors (alizarin crimson, ultramarine blue and cadmium yellow) are Ivory black, yellow ochre, cadmium red, raw umber, viridian green and naples yellow. When starting off students are suggested to experiment and incorporate the additional colors through short color sketches, both with the figure and small still life arrangements. Once acquainted with using a full color palette they are expected to complete larger figure studies and more complex still life arrangements. Students are not bound to this palette and it serves merely as a basis for future works. It in fact would be to their benefit to add /edit colors to their palette if the subject calls for it.